Daca gasesc ceva interesant bine inteles ca citesc , dar nu mereu …. Si ptr ca am primit o cerere pe pagina de fb sa fac recomandari pentru reviste cu cadou . . asa ca ..
– Armonia din farfurie de Maruse Wolinski, Laurent Chevalier. 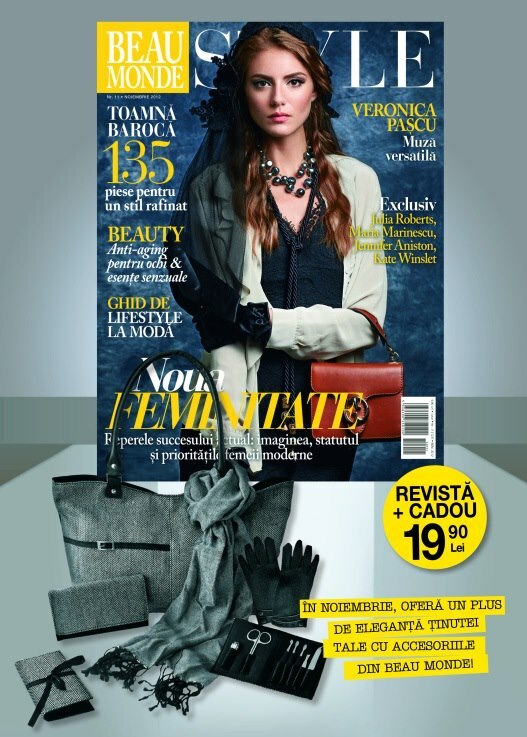 Revista Joy, are cadou un portfard la alegere, la pretul de 9,99 lei si a aparut pe 23 octombrie. Revista Marie Claire Romania, a aparut pe 28 octombrie, impreuna cu crema hidratanta pentru corp Ivatherm (100 ml), la pretul de 24,90 lei. Revista Ce se intampla, Doctore? aniverseaza 7 ani, si ne ofera un gel de dus Yves Rocher Jardins du Monde Ylang – Ylang, un pliant vreme de iarna in Landul Salzburg, 2 absorbante Always, un catalog Walmark, un catalog Sensiblu, la pretul de 9,90 lei. Revista a aparut pe 29 octombrie. Eu mi-am luat revista Femeia , cu „colanti ” care de fapt sunt niste ciorapi mai grosuti .Am cautat si revista Beau Monde dar nu am gasit cu cadou. Exceptional clothing you will find here women s workout clothes, yoga clothing for women, womens work clothes. eu am gasit beau mode cu gentuta dar nu mia placut , si nu am luat nimik pina in prezent . o sa ma gandesc nu sunt fonduri de cheltuit in afara listei . will be obese, with girls under 11 at particular risk. make your life more comfortable and easier. They love to see only images, sketches or some funny pictures or drawing of animals. Don't put limits on what you eat as much as you do how much you are eating. It is important that you realise that if you do miss one of your exercise sessions it is not the end of the world. Most of us love it; going to Mac – Donald or Burger King from time to time. news, and if it ever goes completely out of style, may the Lord help us, for it will be the end of civilization as we know it. that people are healthy, wealthy and wise. Committee on Gulf War and Health: Health Effects of Serving in the Gulf War, Update 2009.